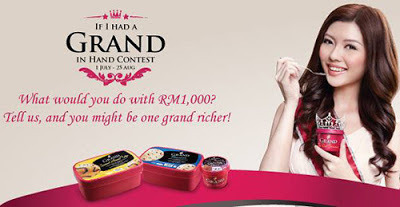 1st 1,000 user to share the contest to 5 friends via Facebook will win FREE 2 units of king's Grand 1L ice creams. Preview your design. If you're satisfied with your creation, click Submit. Visit King's Grand Facebook fan page for more details.